The \(\gamma \)-ray astronomy at 100 TeV is important to unravel the puzzles related to the origin and acceleration of the Galactic cosmic rays up to PeV energy. The YangBaJing Hybrid Array (YBJ-HA), about 2% the scale of LHAASO-KM2A, is such a kind of detection instrument capable of detecting 100 TeV \(\gamma \)-rays. And the muon detection efficiency stability of the MD array in YBJ-HA is crucial for high quality \(\gamma \)-ray observation. 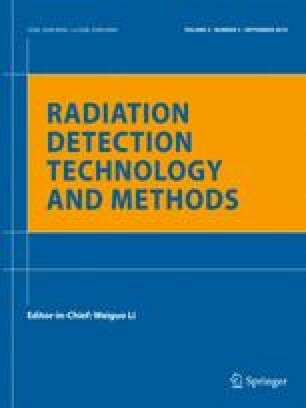 To measure and monitor the muon detection efficiency, we develop a method in this work. We develop a muon bundle method to measure and monitor the efficiency of each muon detector. In this method, muon detection efficiency of the target MD unit is calculated based on the surrounding MD units and the MC simulation. The average actual muon detection efficiency of the 16 MD units is up to 83.4% during 4 years’ observation. The muon detection efficiency of each MD unit is found to be stable during 4 years’ operation. In the future, a similar method may be applicable to the muon detection efficiency study for LHAASO. This work is partly supported by National Natural Science Foundation of China under Grant: 11635011, 11761141001, 11873005, 11775233 and National Key R&D Program of China: 2018YFA0404202.